(NaturalNews) As promised, I have three milestone announcements to make in the realm of science. The first of those announcements is a breakthrough achievement for independent science. In a world where nearly all so-called "science" is actually little more than corporate fraud and government malfeasance, nearly all mainstream science journals have been taken over by pharmaceutical and biotech interests. As a result, they destroy and suppress human knowledge rather than expanding it. All the big science journals -- Nature, The British Medical Journal, The Lancet and so on -- function almost entirely as science prostitutes for corporate interests, spewing out a vomitous cascade of fraudulent, industry ghostwritten "doctored" studies that the industry pretends represent real science. This sad, filthy corruption of science harms the reputation of science itself and detracts from the valuable expansion of knowledge that can be achieved when science is practiced in the interests of humanity rather than corporate profits. My aim is to rescue science from corporate prostitution and return science to the democratic, decentralized domain of the curious and the informed. (That means you.) This is why today, I have extraordinary news to unveil... a milestone for independent science conducted in the public interest... something that hasn't happened before in the history of our world. Today I'm announcing the launch of a new, independent, peer-reviewed science journal called the Natural Science Journal -- a science journal that rejects all corporate money, government influence and all the blind, obedient "consensus" science narratives that only end in stupidity. It's time that We the People had a science journal that represents real science in the public interest! 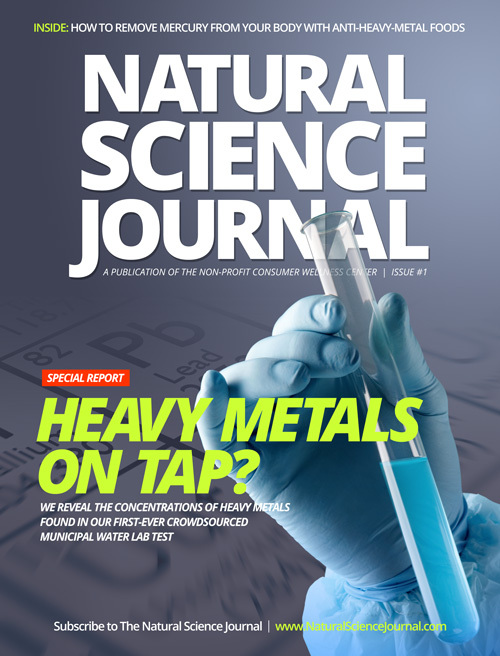 Visit NaturalScienceJournal.com right now to download the first issue. 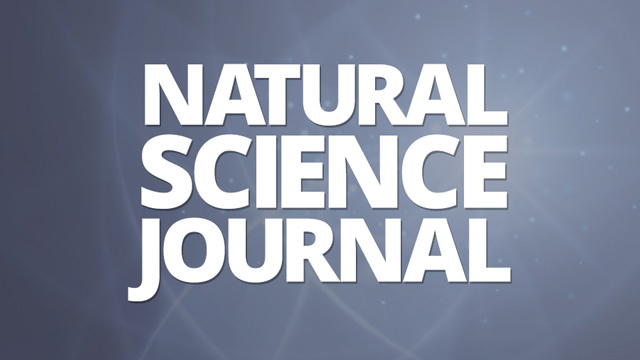 The Natural Science Journal is the People's science journal. It's a science journal that explores issues from a truly independent, people-centric perspective rather than the usual corporate-government scientific fascism quackery typically parroted in mainstream science journals. • Are you eating glyphosate for breakfast? • Which water filters remove the most heavy metals? • How much aluminum are you drinking? In addition, this first issue also carries the full data set of our EPA Watch water testing program, publishing the complete elemental analysis of the first 100 water results from across U.S. cities. Download the first issue at the Natural Science Journal website (it's free, as promised). If you'd like to cite my first published science paper, it's entitled ICP-MS analysis of toxic elements (heavy metals) in 100 municipal water samples from across the United States. How do you know you can trust the genuine science published in this independent science journal? For starters, we don't sell advertising space in the journal. There's no outside money influencing our editorial process. In addition, all published scientific papers are peer-reviewed by other respected scientists before being accepted for publication. Even beyond that, we do not accept grants or money from any government institution. This keeps corrupt government money out of the science, leading to a more honest, ethical and authentic journal that isn't subjected to the financial string pulling of corrupt government. In all, this means that drug companies, biotech corporations and government institutions have no influence over the Natural Science Journal. Instead of answering to these corrupt, criminal organizations, we answer to YOU! Yes, the Natural Science Journal is YOUR science journal, covering the issues that matter to real people, real food consumers, real parents and health-conscious citizens. Please note that this journal is a hard sciences journal, meaning we seek scientific papers based on hard analytics in chemistry, physics, botany and so on. This is not a journal for philosophy or thought experiments that cannot be proven through hard experimental data. Watch the NSJ website for an announcement of a submission process for scientific papers. 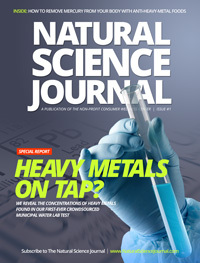 In the mean time, enjoy our inaugural issue by downloading it now at NaturalScienceJournal.com. Welcome to a whole new chapter of REAL science conducted in the public interest. Isn't it time we took back science from the corrupt corporations anyway?